The association had signed 2 contracts with the United Nations Development Program (UNDP) through its Global Environment Facility (GEF) Small Grants Program. The first contract was signed in 1998 where. 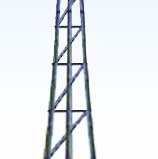 EAEE, designs, manufactures, installs and maintains eight small size wind pumps and the second contract was signed in 2001 for small size wind turbines (3KW) used for electricity generation. The association also signed a contract with Arab Organization for Industrialization - Engine Factory (EF), which is considered as one of the biggest factories in Egypt where EF manufactures under its reputed quality control the wind turbines according to the specifications, designs and drawings offered and made by the Society . •	Carrying out calculations, completing design and manufacturing drawings, and manufacturing of all components of the wind turbines prototype. •	Installing the machines on a strategic sites where a lot of individual participants will see what they are and what their use is. •	Capacity building and raising awareness of local NGO Societies and training of indigenous people. Our R & D staff collaborators continue to look for new ways to convert more wind into more energy , more efficiently . Our goal is to help place hundreds of windpumps every year to providee clean water on reliable and continous bases in remote and isolated villages . Because each windpump ESES puts into circulation helps to reduce carbon dioxide emissions and perhaps the threat of global warming .